Paw Patrol, Air Rescue Chase Just $9.99! You are here: Home / Great Deals / Amazon Deals / Paw Patrol, Air Rescue Chase Just $9.99! Head over to Amazon and get the Paw Patrol, Air Rescue Chase, Pup Pack & Badge for just $9.99 (reg. $11.99). Shipping will be FREE with Amazon Prime or an order of $49 or more. 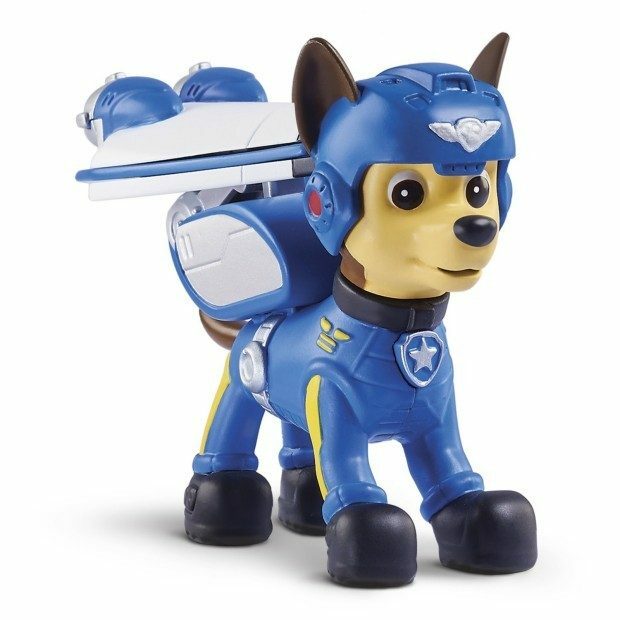 Air Rescue Chase is ready for a high-flying rescue with his transforming Pup Pack! Press the button to transform Chase’s Pup Pack into wings! When it’s time to pack up, the wings easily transform back into the Pup Pack. Collect the new Air Rescue Skye, Rubble, Marshall, Zuma and Rocky Pups to help out with the rescue! Air Rescue Pups are for kids ages 3+. Batteries not required. You can get other Paw Patrol characters for the same price. Just scroll down to the area that says “Customers Who Bought This Item Also Bought” once you are on Amazon, and you will see them.